RGI is a two generational company that has been in business for over fifty years. During that time, the principals have completed over 170 projects scattered throughout the Western United States, Hawaii, Mexico, Central America, Japan, Korea and Indonesia. These projects span a wide range of product types and styles as the market and the needs of our clients have changed. We pride ourselves on our ability to build in extreme terrain or in areas of high natural beauty when the alternate land use is the preservation of nature. 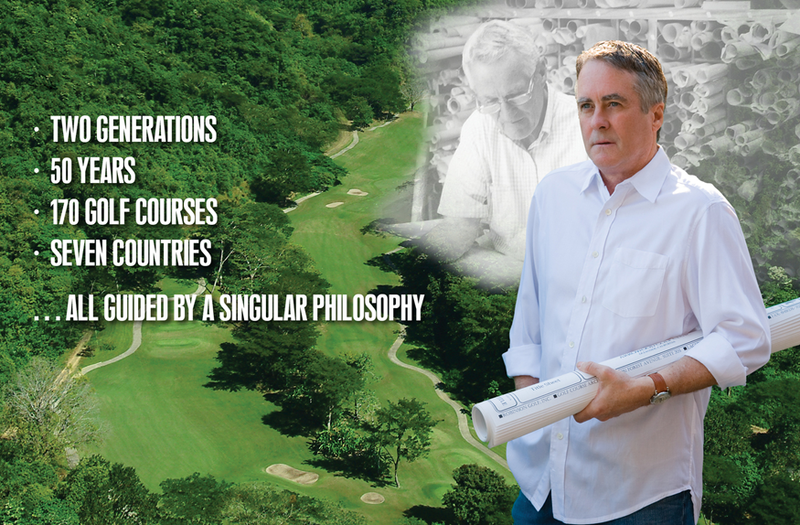 One of our major strengths has been the integration of golf with other land uses. Melding the course into the natural topography and existing vegetation is a very high priority. Understanding the man made features allows them to blend unobtrusively, thus allowing the location itself to dominate the senses. Having completed the first 36-hole golf course in the world to be designated as an Audubon Silver Signature Sanctuary, RGI recognizes the importance of golf in relation to the environment. These attributes have resulted in some of the most beautiful and challenging courses showcasing golf at its finest.